Employee nomination software allows managers or employees to participate in a voting award system. 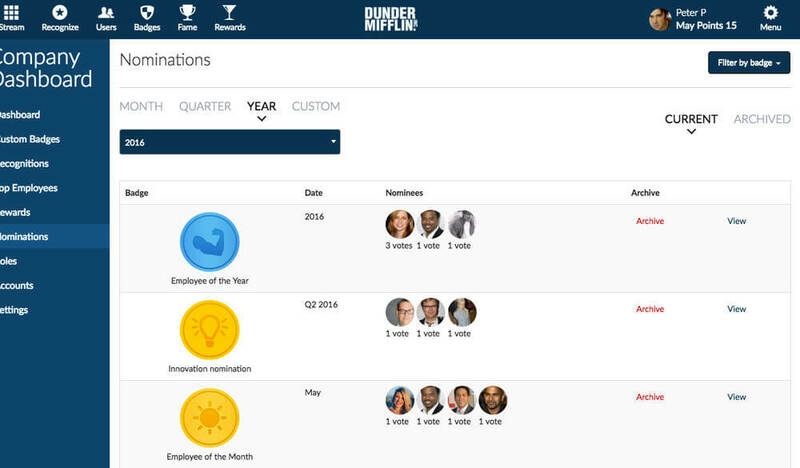 Employees can nominate others as a vote. Depending on your role in the company, different categories of votes can be given. Admins choose the award winners in different time periods, such as innovation award or employee of the quarter. Employee nomination software enhances every company qualitatively. 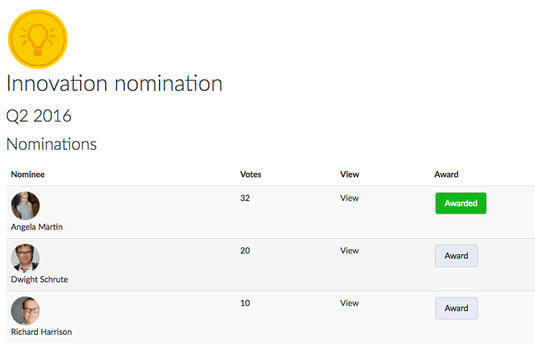 Recognize's unique nomination system automates the collection of information saving staff time. It saves your company time thanks to our Chrome Extension, Mobile, Yammer, Sharepoint, and intranet integrations. 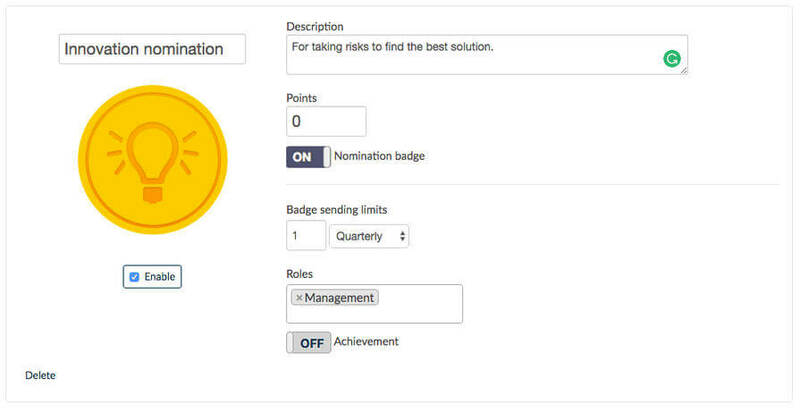 Setting up employee nomination software is as easy as creating a custom badge in Recognize. Just click on nomination badge. For the first time staff will be able to vote through out the whole year and the admins can see why at any point for any time period.